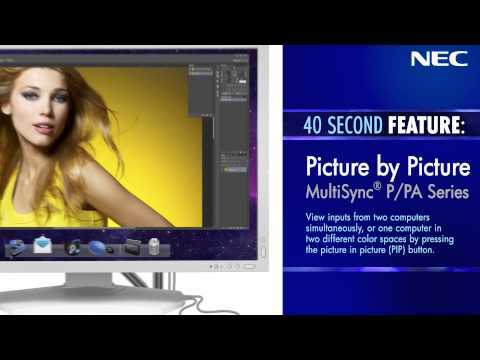 The 27" NEC MultiSync PA271W, a widescreen LCD display ideal for graphics and photography applications, makes even your most demanding color-critical projects seem simple. This model touts a dynamic design, wide color gamut, 14-bit 3D LUT, eco-conscious features, high brightness and many cutting-edge technologies. It also features the SpectraViewII Color Calibration Solution, which combines a customized wide color gamut measurement sensor with sophisticated software, resulting in a highly accurate, reliable, repeatable and feature-rich display calibration and profiling solution. 21.2 lbs. / 9.6 kg. Allows up to three inputs (VGA, DVI-I and DVI-D) to be connected to a single monitor and for each of the three signals to be displayed with the press of a button. Delivers wide viewing angles of up to 178º horizontally and vertically (up to 89º up, down, left and right) with less color shift and without any glare, reflection or distortion. 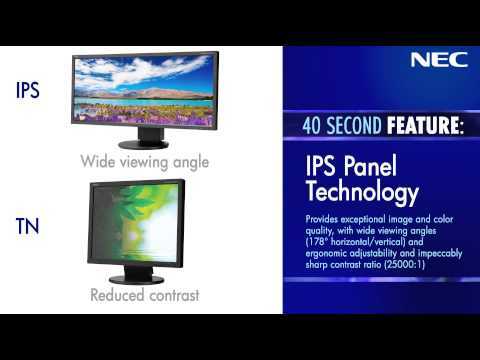 Allows the monitor to be automatically adjusted to optimal image settings when initially turned on. Have a problem with your NEC Monitor? Here you'll find common questions. If you do not find a sufficient answer, please do not hesitate to contact us at 800-632-4662. Can I connect the MultiSync PA Series displays to my Mac? Yes, the MultiSync PA Series models ship with a cable that can plug into a Thunderbolt port on your Mac and into the DisplayPort port on the monitor. This is the best connection for this configuration. How accurate is the sRGB Emulation mode on the MultiSync PA Series wide gamut models, given that they are wide color gamut panels? 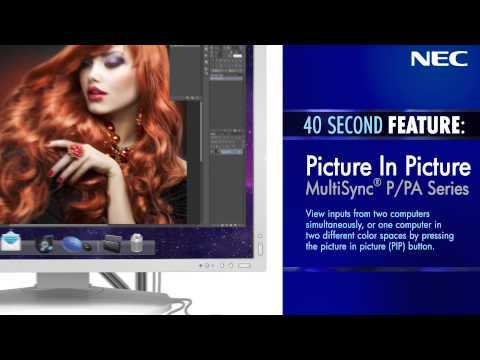 The MultiSync PA series use a dedicated color processor (SpectraView Engine) that can perform full 3D color gamut transforms to a high color bit-depth internally in the display. 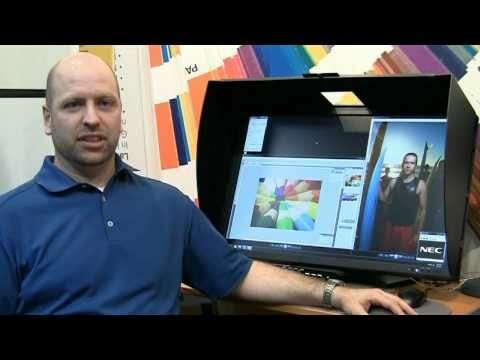 This coupled with the individual unit factory measurement and internal stabilization means that very accurate color gamut transforms can be done with no loss in image quality. Compared to many standard color gamut displays, these models are actually capable of proving a more accurate sRGB because they are able to cover 100% of the sRGB color gamut. Many standard color gamut displays do not actually cover 100% of the sRGB color gamut. Have a problem with your NEC Monitor? Here you'll find common troubleshooting techniques. If you do not find a sufficient answer, please do not hesitate to contact us at 800.632.4662 for Desktop Monitors, Large Screen Displays, LED Walls and Medical Diagnostic Displays. Please contact 800.836.0655 for Multimedia Projectors and Whiteboards, or 866.632.6431 for Digital Cinema Projectors.